An IGDA Detroit gathering is scheduled for Thursday. 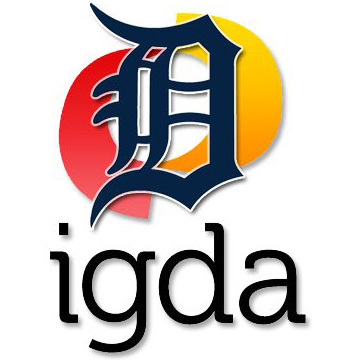 IGDA Detroit, the Michigan chapter of the International Game Developers Association, will be having its April meeting tomorrow. As per the recently established custom, every other chapter meeting (even months) is a social event, or “pure networking” if you prefer, at an area establishment. Attendance has been on the rise for every IGDA Detroit meeting so far in 2011, and I hope for that trend to continue. The newly elected Board of Directors is introducing door prizes for such things as traveling distance (to the meeting) and new members, so it could pay off in more ways than just the camaraderie, business contacts, and practical game development information. Come join us! To keep apprised of the happenings, you can follow IGDA Detroit on Facebook, too. Even though the New Year is ultimately an arbitrary construct, it is nevertheless customary to take the opportunity to reflect on the past year and plan for the next one. More practically, of course, there are certain business related items (especially concerning taxes) that need to be handled in a certain calendar year, so getting those tasks completed before the end of the year is important. In our case, we officially take two weeks off around the holidays, especially since very little work tends to get done anyway, other businesses are often running with skeleton crews (or closed entirely), and most of us would rather focus on family during this time, anyway. However, we still have things to get completed by year end, so leading up to the break, we have a major project meeting (before two weeks without any) and determine which items have to be finished before the break, or during it in the worst case. Last year (i.e., a couple weeks ago) we were able to determine that certain “capital improvements” were better deferred until 2011, so this year will begin with some disruptions targeted toward better efficiency in the near future. For my personal task management, I added to the list all of my recurring items (some of which include general categories, such as ‘development’ or ‘marketing’) and methodically eliminated each item by assuring that everything necessary was finished before taking my break. Alas, one particular (and important) item on my task list actually became two separate items with 2010 deadlines, so my break only encompassed hours, rather than days, of last year. As the new year begins, on this first business day, I repeated the same process of starting my task list with all of my recurring items (plus deferred tasks), except this time I review each one to make certain that the foundational aspects are handled and to consider any procedural changes for the upcoming year (including delegating or completely eliminating a task). I am still officially on a break for another week, so I am (personally) using that time to prepare my work environment physically, organizationally, and mentally, for substantially increased development efficiency when I return. Of course, these are just the tasks that are performed to pursue our ultimate goals. We also have planned and established a set of goals for 2011, which these tasks are designed to serve, but that will be the subject of my next post. The ASP is renamed to the Association of Software Professionals. After 23 years of leadership in (what was known as) the shareware industry, and now following the current trend, the ASP has dropped “Shareware” and officially changed its name to the Association of Software Professionals. The change has been in the works for a while, but it was officially announced on the ASP blog in an article entitled, Shareware is dead – long live shareware! A press release about the change can be found on Newswire Today, and proper coverage of the name change was recently published by Dr. Dobbs Editor, Jon Erickson, in a blog posting, Shareware: Thanks for the Memories. When the ASP was formed back in 1987, it was out to promote the concept of “shareware”, a marketing method (n.b., not a type of software) where a user was able to try software before making a purchase (or not), and also to help independent developers/publishers learn how to use shareware (and other methods) to become successful. The former goal was achieved long ago, as almost all mass market software now has a trial version available. (See my Mission Accomplished! posting from a couple of years ago.) The only skirmish remaining was that over the word “shareware” itself, but the ASP has now de facto ceded that control (for the sake of lasting peace, I suppose). One only need look at this thread at The Business of Software to observe the rampant ignorance even among (nominal) developers, so I can certainly understand declaring that a losing cause. The latter goal is actually an ongoing mission, and the ASP (regardless of the name change) remains the single greatest resource for independent software developers and publishers. At only $100 per year, it is quite possibly the best money we have ever spent for our business. The Executive Director of the IGDA resigns. This week, the International Game Developers Association (IGDA) announced that Jason Della Rocca, its long time Executive Director, will be stepping down effective March 31. This will be just after the conclusion of the 2009 Game Developers Conference (GDC) this year. Under Jason’s leadership over eight and a half years, the IGDA has grown massively (2900%), from 500 to 15000 members. More importantly, and understandably omitted from the press release, he took the organization from a fairly directionless group of early game developers (of which I was one) to an association that actually has significant relevance within the game industry. Good luck in your new endeavors, Jason! Local developers participate in this international game event tomorrow. At 5:00pm tomorrow [Friday, January 30, 2009], the Global Game Jam begins. It will last 48 hours, ending at the same time on Sunday (all times local). Since the event is worldwide, it covers many different time zones, and the first jams, in New Zealand, will begin in just over half a day from now. The IGDA Detroit is providing/sponsoring one location for the Global Game Jam. Dozens of developers will converge on TechTown in Detroit to participate. These will be some of the more than 1750 people who will take part at one of 53 locations in 23 countries around the world. There is still room available at Global Game Jam Detroit 2009, and it is open to everyone. The cost to participate is only $25 (to defray food costs); click the link for details. In a Game Jam, participants come together to make video games. Each participant works in a small team on a complete game project over the course of a limited time period, usually over a weekend. With such a small time frame, the games tend to be innovative and experimental. The Global Game Jam (GGJ) is the first of its kind: a game Jam that takes place in the same 48 hours all over the world! The global Game Jam will start at 5:00PM Friday, January 30, 2009 through 5:00PM Sunday, February 1, 2009, (all times local). All participants in the Global Game Jam will be constrained by the same rules and limitations, with each time zone having one distinct constraint. In addition to the start of the GGJ, there will be a chapter meeting for IGDA Detroit from 5:00pm to 8:00pm (also at TechTown, 440 Burroughs St., Detroit). Even if you are not planning to participate in the game jam, come hang out a while (for free) with other game developers. I plan to be there; how about you?